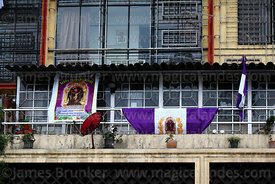 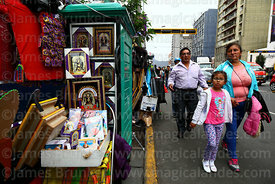 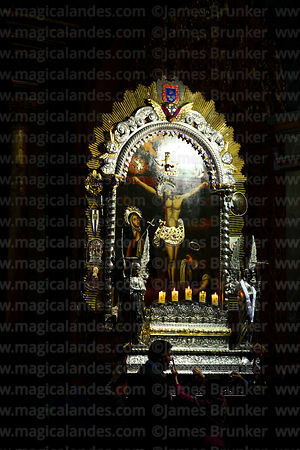 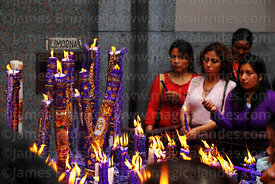 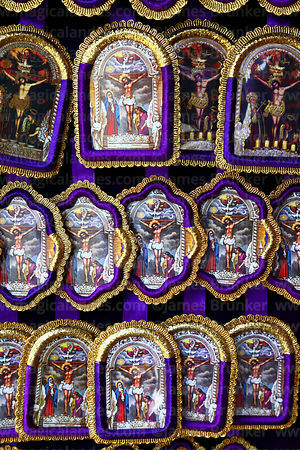 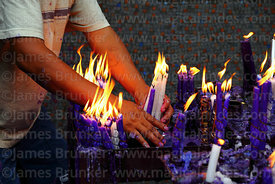 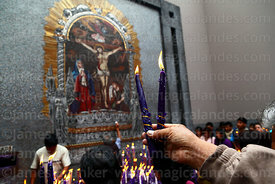 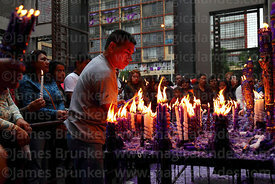 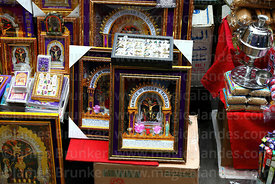 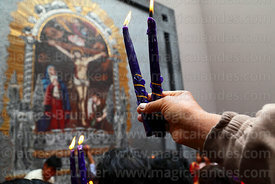 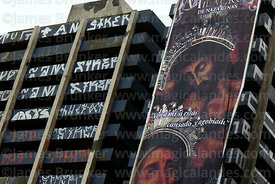 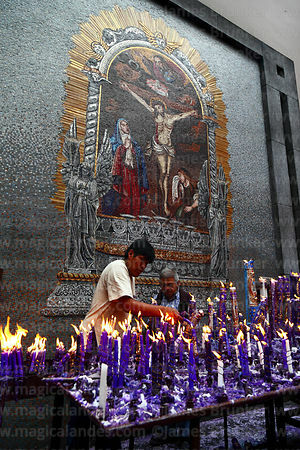 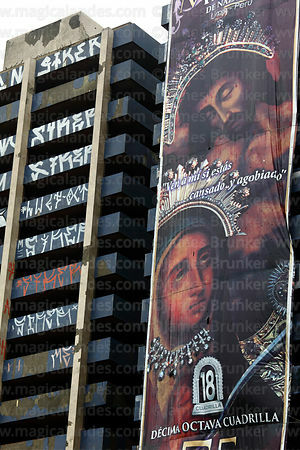 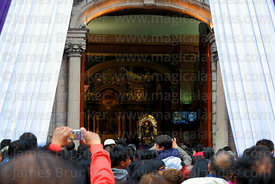 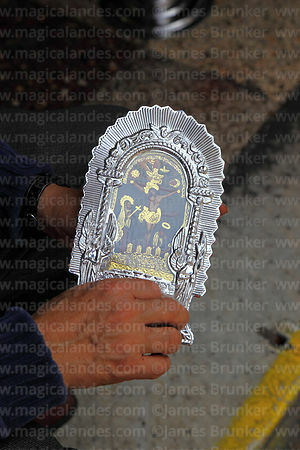 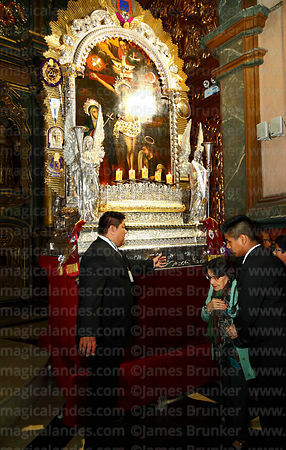 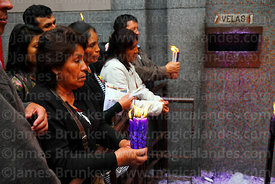 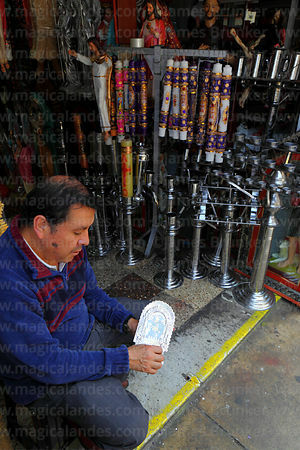 The Señor de los Milagros / Lord of Miracles is the patron saint of Lima (since 1715). 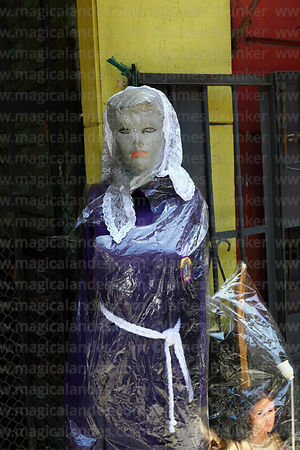 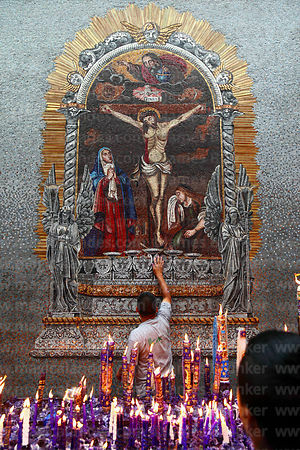 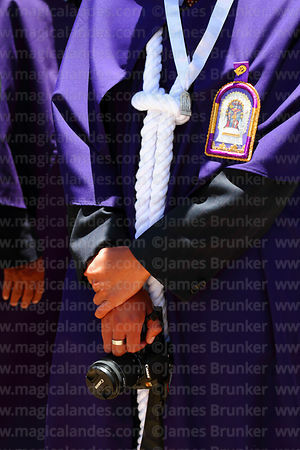 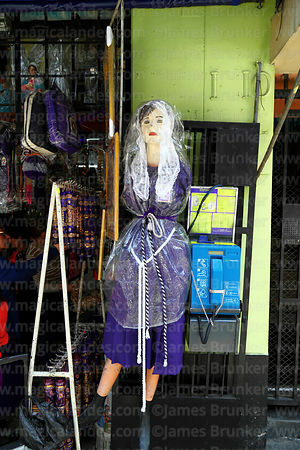 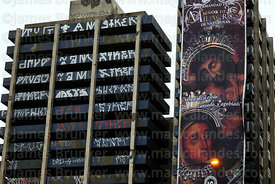 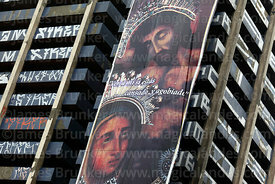 The origins of this devotion go back to 1651 when an African slave painted a figure of Christ on the wall of a church. 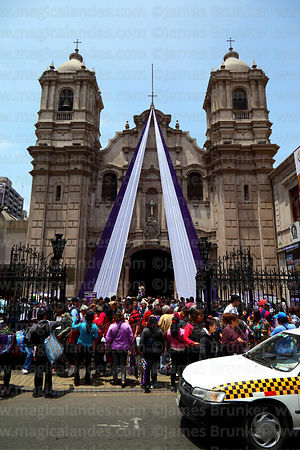 The first procession took place in 1687 when much of Lima, but not the wall with the image, was destroyed by an earthquake. 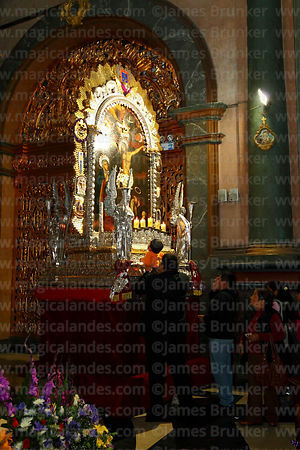 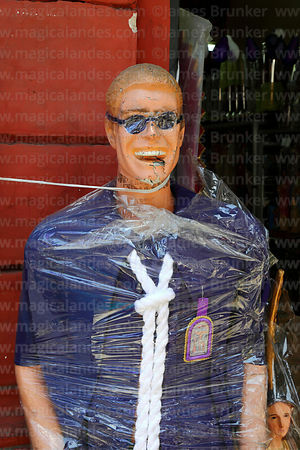 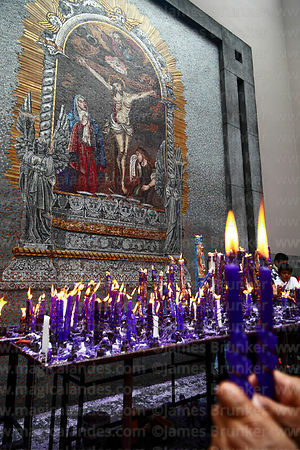 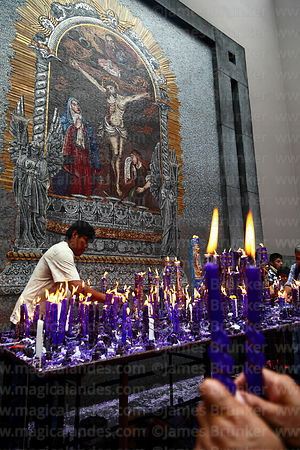 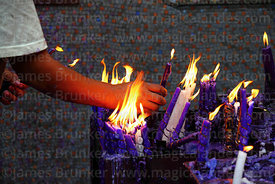 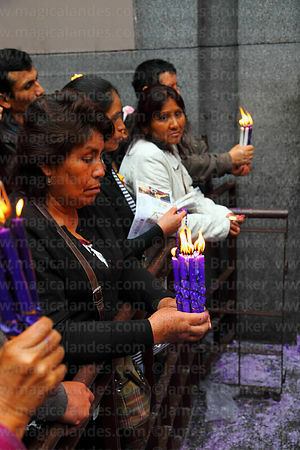 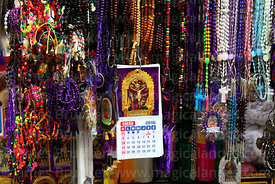 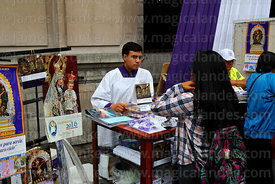 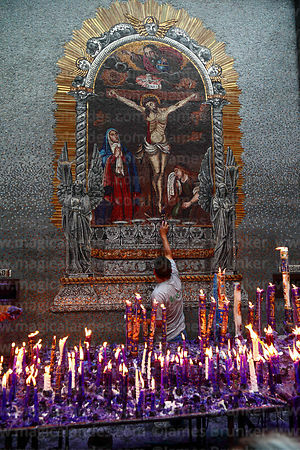 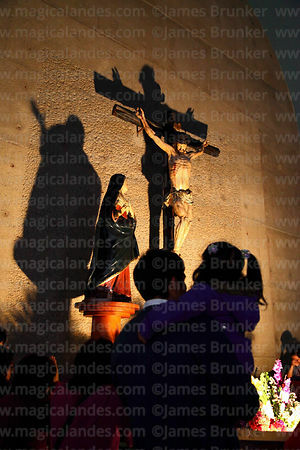 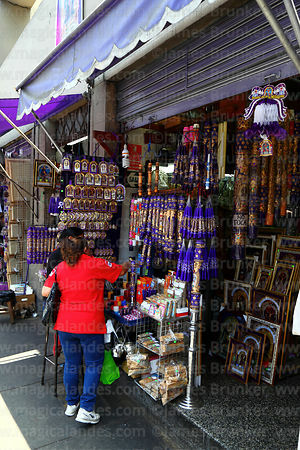 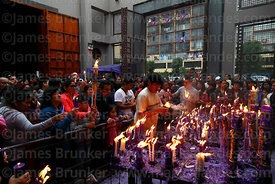 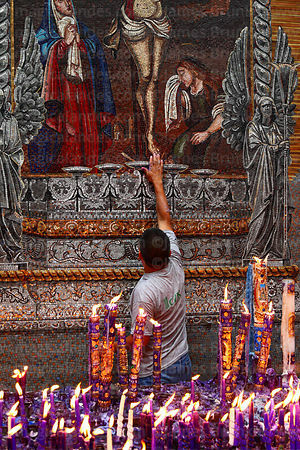 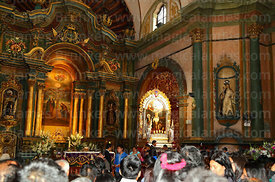 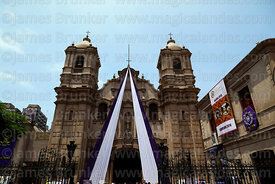 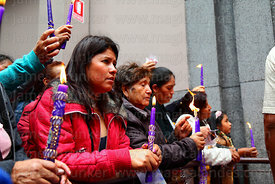 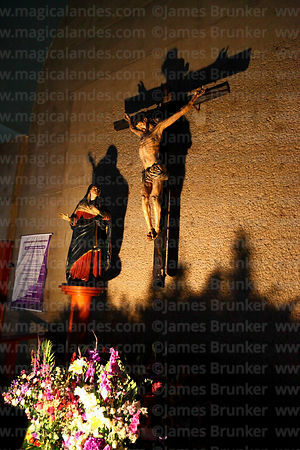 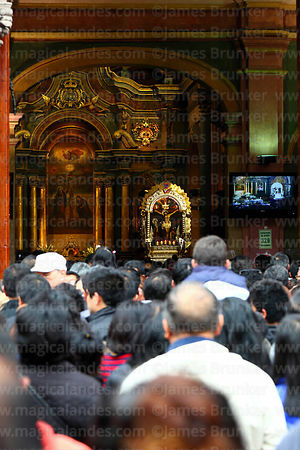 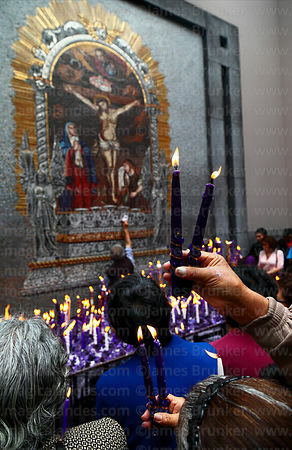 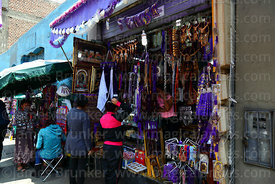 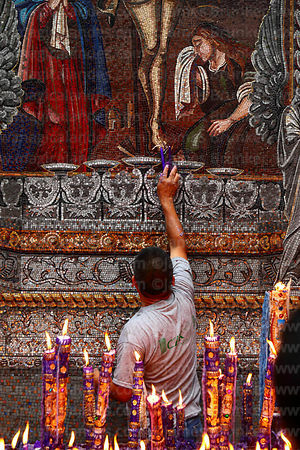 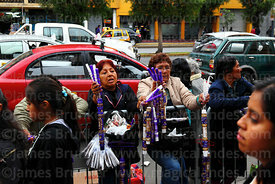 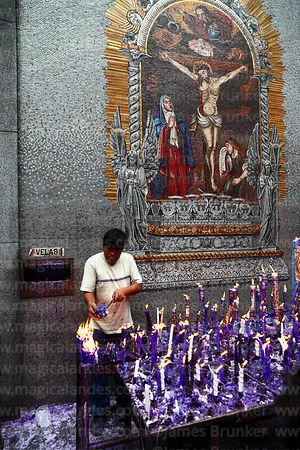 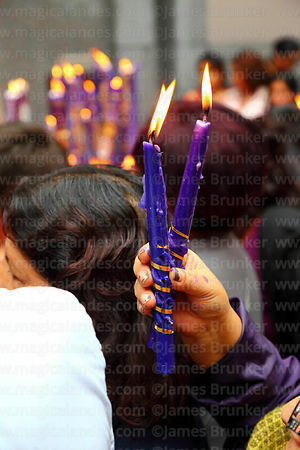 The Señor de los Milagros is celebrated in Lima throughout October, with much of the activity focussed on the Nazarenas church in the city centre. 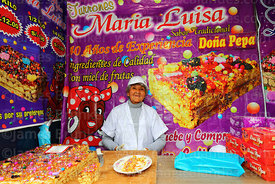 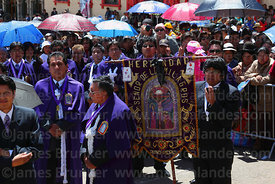 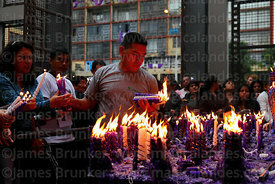 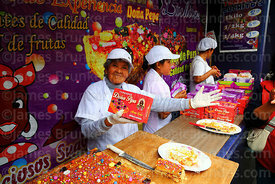 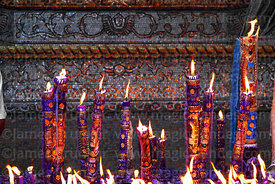 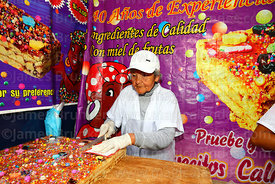 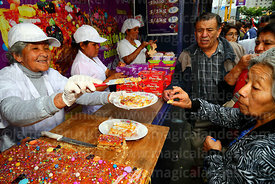 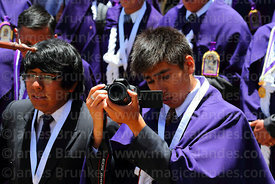 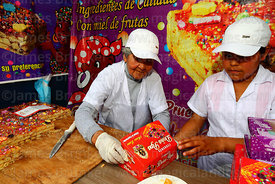 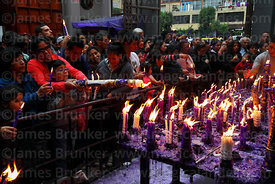 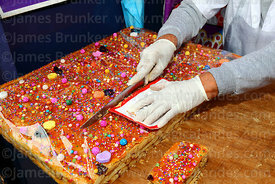 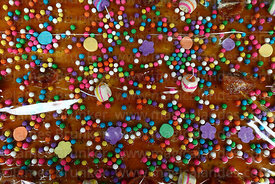 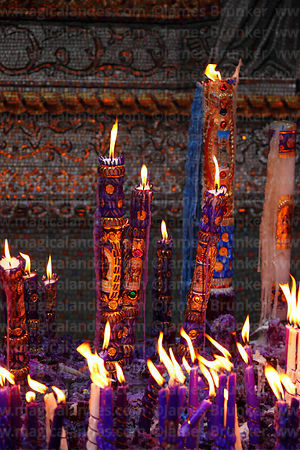 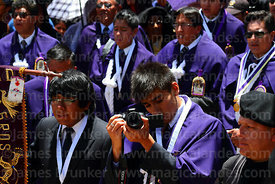 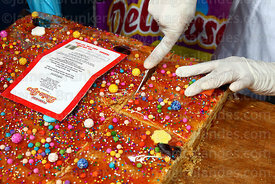 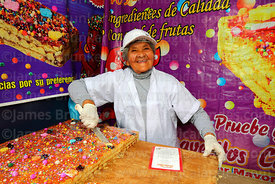 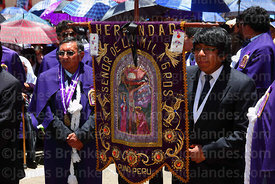 Smaller festivals take place in other towns and cities in Peru, and also abroad. 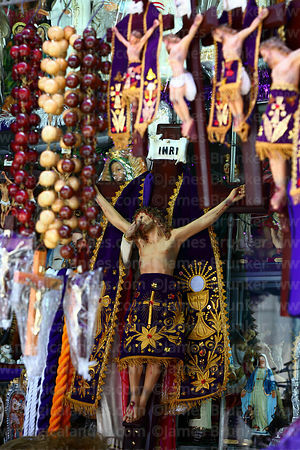 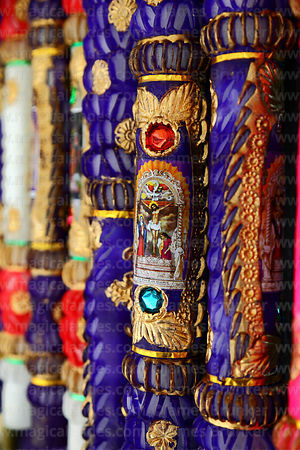 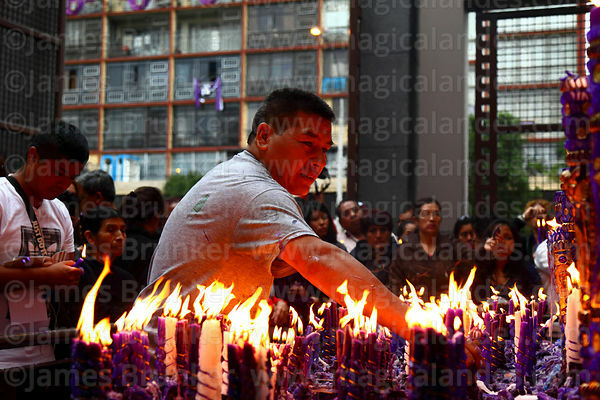 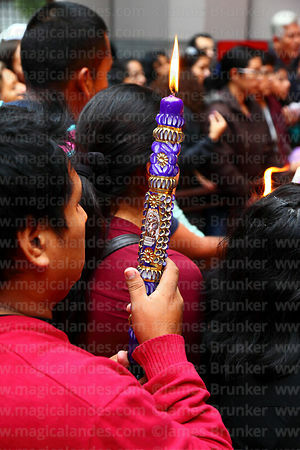 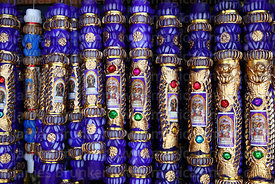 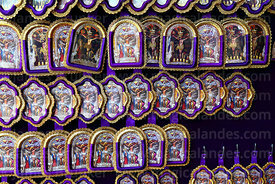 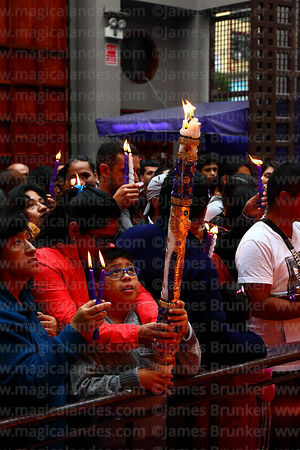 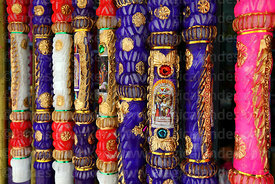 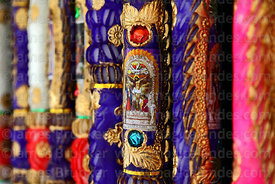 On several days during the month an image of the Señor de los Milagros is carried through the streets of central Lima, these processions are attended by hundreds of thousands of people and are among the largest religious parades in the world.